DOGability is a dog training centre based in Spellbrook, covering Bishop's Stortford, Sawbridgeworth, Harlow and surrounding areas. We specialise in training pet dogs, helping you to enjoy a closer bond. We work on your classical obedience skills such as recall, sit, down and stay, but as we believe owning a dog should be fun we also bring in obstacle courses, team games, circuit training and agility to add variety. Our group lessons are sociable and informative, and all our training is done using positive reinforcement methods. Group lessons don't suit everyone so private training is also available. Please see our Training pages for further information on what we offer. We also provide personalised dog walking and home dog boarding services. Please contact us to discuss your requirements. 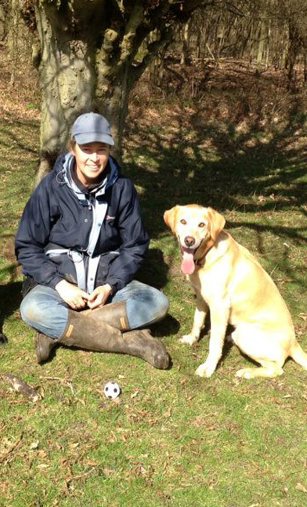 Head trainer Adrienne Critchlow has a lifetime's experience of working with dogs of all breeds. She began by providing one to one training after being asked to help several friends with their dogs. Realising how rewarding the work is she undertook dog-trainer training with renowned handler Steve Mann, and is currently studying with the Academy of Dog Trainers and Behaviourists (ADTB). She also regularly attends training workshops and seminars. Classes have proved so popular that Rebecca Barnett has joined the team as a volunteer trainer whilst she gains her qualifications. If you would like to join us either book a class on our online booking system or to enquire simply fill in the form below.